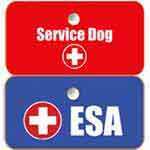 Quick service and easy online app. 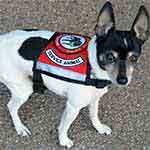 National Service Animal Registry has set the bar very high. I was very impressed with their service. I have many friends who struggle with mental health issues, and this site has a lot of great information and an easy to use registration process. The money I have saved from "pet fees" is awesome. So thankful for you guys. 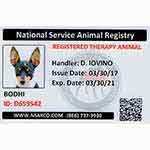 NSAR couldn’t have made it any easier to register my service dog. 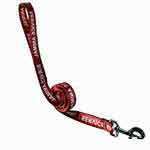 Now I feel more comfortable going out and having my medical dog with me, wherever I go. Expedited on time with proper information. Thank you! Excellent customer service and rapid response. 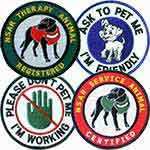 People that work there, National Service Animal Registry (NSAR), have been a really big help. Very kind people that work there. Y’all have been a really big help in helping me and helping me register my dog. Every time I call to ask a question, not once have I had a rude response or person answer the phone. Thank you for helping me so much. Immediate response and great to deal with. Thank you, NSAR. At a very bad time in my life this was a very easy experience and helped wonders. Received documents and supplies quickly. Great customer service! Efficient service when you need it the most. The process is simple, fast, and easy! Also, really affordable, I love it! People are so friendly and helpful! I lost my original letter from my old therapist. I swear NSAR has made all the hassle to get a re-certification so much easier! Always recommending NSAR! Ease of use, trustworthy, product arriving as promised. Great service and quick. I needed the information for a trip coming up and it was wonderful to not stress about any of it. Great materials and thank you! So happy with your service. Courtesy, kindness and excellence describe NSARCO! 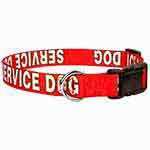 Best choice and authority on important aspects of service dogs, therapy dogs, and emotional support dogs. Customer Service was very helpful. It was quick and easy to reach a live person.